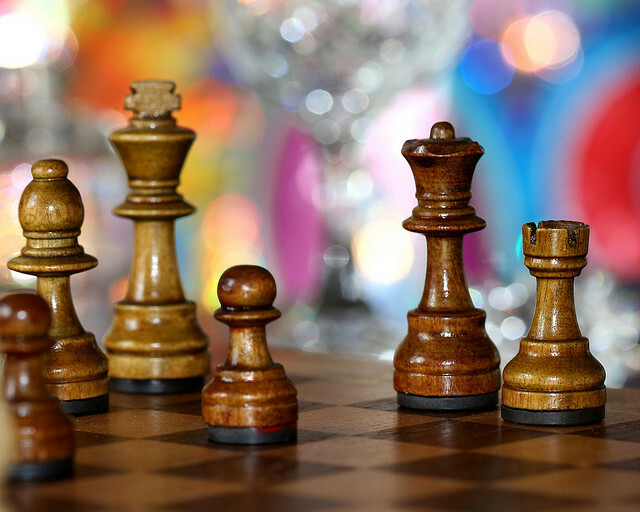 Lexicolatry: Checkmate - "The King Is Perplexed"
My mother taught me how to play chess when I started elementary school. I was 6 and she would get very frustrated every time I didn't resist the temptation of capturing as many pawns (I hope this is the word for the line of soldiers, sorry if it isn't) as I could. She kept saying: "You must think, Evi! It's not about capturing pawns!". Chess isn't as fast-paced as I would like it to be. It is, Evi, and yes, pawns are just too big a temptation for children. My Dad taught me to play, but seeing as I could never beat him I found it the most sickeningly frustrating game. And I hated it. And I still hate it. 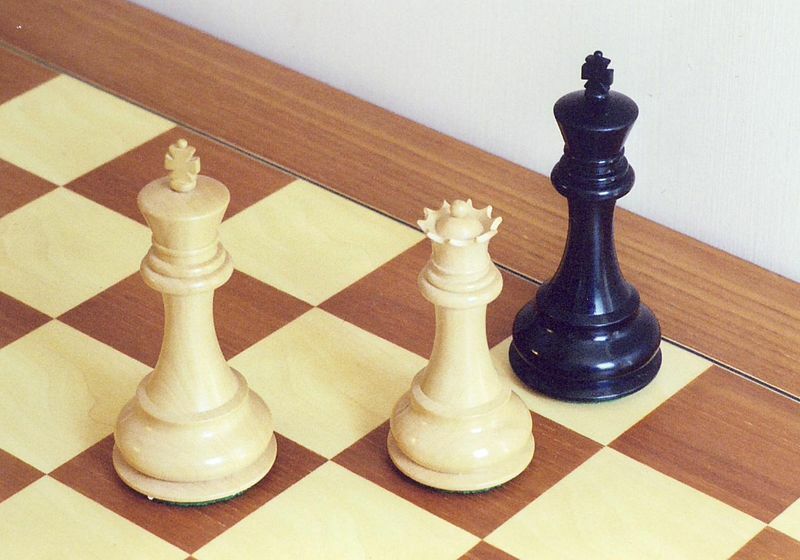 I was always under the impression that checkmate meant "the king is dead" and was either Arabic or Persian which I must have read somewhere or heard someone say and probably entrenched in my mind with the mental association of the whole "māt" element of "šāh māt" being akin to "mort" = death further reinforcement added by Latin mortus, mortuus and Proto-Indo-European *mr̥twós, *mr̥tós root. The Arabic مَاتَ māta (of šāh māta) is a form of its verb 'to die' mirrored in Hebrew מֵת (mét) but as you rightly say, the Persian "šāh māt" شاه مات does mean 'amazed', 'astonished' rather than (the king is) 'dead'. My Arabic, Persian and Hebrew is a little rusty (! ), so I'm just going by what the OED says on this one. Can I ask, does the Persian 'mata' roughly map onto the Latin 'mirari' ('be astonished, amazed, marvel, wonder at'), or is it more like just plain 'stunned!' (no object, no wonderment, etc.). Sorry, meant the Persian 'mat' of course. I'm afraid I don't know, Brian; my knowledge of ancient language is ... well ... nil. However, should anyone else know the answer to this, please do enlighten us. Thanks Eddie, going to keep with my virtual digging, as this is a surprisingly consequential question for me in my work just now--but am probably lost without a Persian initiate. Got a pretty strong hunch it will, as ours does, shade into wonderment--and a virtual certainty that if it does, our many and profound chess metaphors should shade with it, to some degree or other (especially those connected to stalemate (= stel-mat, or (most deeply for me, Greek) stele-mat). There's wonderful worldplay at work here I think. I only have a very crude knowledge of Farsi verbs so I'm certainly not an expert but I know that the "māt" of "shāh māt" has been traced back to the Farsi verb: مان (mân-), (inf.) mândan (ماندن) "to remain" and therefore cognate with Latin maneō and Greek menō (μενω "I remain"). It means "remained" in the sense of "abandoned" and the formal translation is "surprised", in the military sense of "ambushed". "shāh māt" (شاه مات) can also be translated as "the King is helpless". Yes yes, thanks Mwncïod! This is what I've found myself (in roundabout ways). The whole 'death' thing is clearly a later, Shemitic layer; and even the 'astonished' stuff is tertiary to this root sense of remaining. Which links up with my work in the most astonishing way. I was māt-ash mī-barad (if I've got that right)! Long, I'm afraid, Eddie, but very happy. My work had wound its tortuous way to the end of Beckett's Endgame, and was looking for a way out, as neither death nor life are options anymore; found at last not, as one might expect, in (Hamm's) checkmate, which just invites a new game (again and again), but surprisingly in Clov's stalemate (or stelemate--it's a stelic pose he takes up, as in Beckett's 'Neither'). Finding the 'stele' in 'stale' was my first delight; but finding 'remain' in the Persian 'mat' was heaven sent, for (in Rilke's words) 'what remains is nowhere'--but finally 'nowhere without no' (Duino Elegies 1 and 8). Thanks to everyone, and best to all the lexophiles!